Window treatments are the best way to add color, pattern and instant style to your living room. Here is the latest model in window treatments that adds a fresh, updated look to your space . . . the Bedroom Parlour Window Panels. With summer sunlight streaming in, this is the perfect time to choose window curtains suit your style. 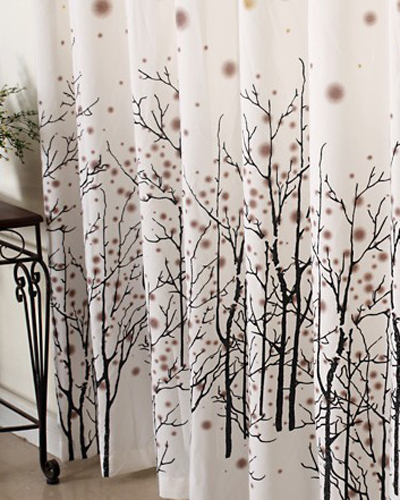 This pair of drapes is just beautiful and whimsical . . . from the color palette to the print/pattern on the fabric.